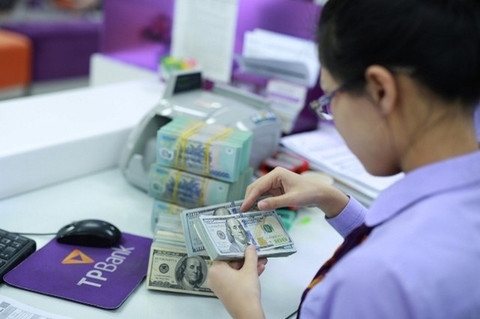 The State Bank of Viet Nam (SBV) has officially extended a policy allowing exporters to take loans in foreign currencies for another year instead of stopping it on December 31 as planned. According to Circular 18/2017/TT-NHNN issued on Wednesday, which will take effect from January 1 to December 31, 2018, commercial banks can provide short-term loans in foreign currencies to export firms that need funds for production and have turnovers in foreign currencies. After receiving such loans, the exporters must immediately sell the amount of foreign currency borrowed to the lending institutions, using the spot forex trading method, except in cases where the foreign currency will be used to make payments. According to the central bank, it decided to extend the policy to help local exporters increase their competitiveness and boost exports since their businesses and production still face difficulties. This is also among the Government’s incentive policies aimed at supporting and developing local enterprises until 2020, which was approved in Decree 35/NQ-CP, issued in May 2016. Thanks to this policy, exporters have the opportunity to borrow foreign currencies at low interest rates. Currently, lending interest rates for short-term US dollar loans are roughly 2.5-4 per cent, while the rate for short-term dong loans is some 7-9 per cent. Previously, experts and enterprises had requested the central bank to extend the policy. Financial and banking expert Nguyen Tri Hieu said the extension is necessary to avoid the country’s exports operating at a disadvantage. He believes that the extension will not affect the Government’s anti-dollarisation policy as the nation’s foreign exchange is relatively stable. Moreover, the banks’ disbursement of foreign currency loans is in dong, not the greenback. Echoing Hieu, expert Can Van Luc said the Government should pursue the anti-dollarisation policy but should not do so at all costs. It should fight against dollarisation but should still create favourable conditions to support firms, especially exporters, he added. SBV deputy governor Dao Minh Tu said it is only a short-term policy. In the long run, the central bank will discontinue the policy, and firms must gradually shift from borrowing to buying and selling foreign currencies. He said although some exporters should be given priority so they can take advantage of the policy, others whose turnover in foreign currencies is modest should not continue to enjoy it as this has proven to be unfair. To avoid having unqualified firms take advantage of the policy, Hieu suggested that the central bank fine-tune the regulation. For example, only firms with at least 50 per cent turnover in a foreign currency could be permitted to seek foreign-currency loans.